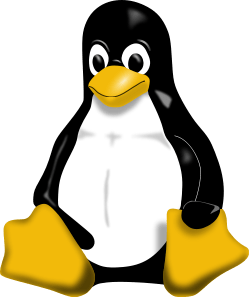 You might not be a fan of the native File Management program that comes with your current Linux Distro, but perhaps you might be willing to try out the program Krusader experience a different way to browser your Linux files, for more check out Krusader for Linux. If you do a fair amount of file management in windows explorer then you’ll probably want a few options that aren’t there out of the box, perhaps the ability to create a folder for a group of files, and you can do this fairly easily using the Windows Utility Files 2 Folder. 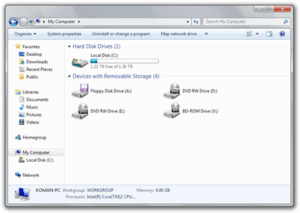 By default when your browsing in Windows Explorer the sidebar with the folder structure of the folder your currently looking at may be in a collapsed state, which makes looking around the area a bit hard, unless you manually collapse the folders, but with a tweak you can have windows expand the sidebar for you, check out this article with the details HERE. If you need to quickly share a file or two for a day or for some type of temporary situation, you might want to check out the service Hopper which will allow you to store a file or something for temporary access, this is for people that don’t need permanent file storage, for more check out the Webapp Hopper. There are times that we have a file that we don’t know how to open, and perhaps you also don’t have the program to open the file, you can solve this issue by using Wolfram Alpha to figure out how to open that file up, for more on how to do this check out this article HERE. When you are trying to do something in Windows with a file or folder and you get the message that the file is in use, but your pretty sure your not using it, you have run into an old issue with Windows, which is from time to time a program will not release a file, making it appear that the file is in use when it is not, but you can now resolve this issue with the Windows program OpenFilesView.